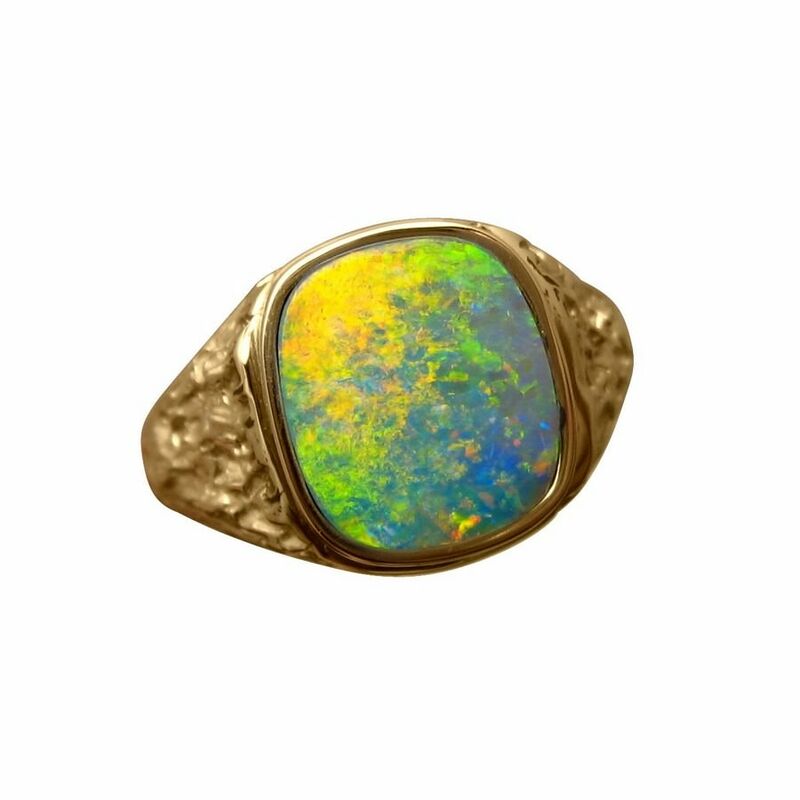 A semi Black Opal ring for men in 14k Gold with a wide textured featuring a unique Opal. 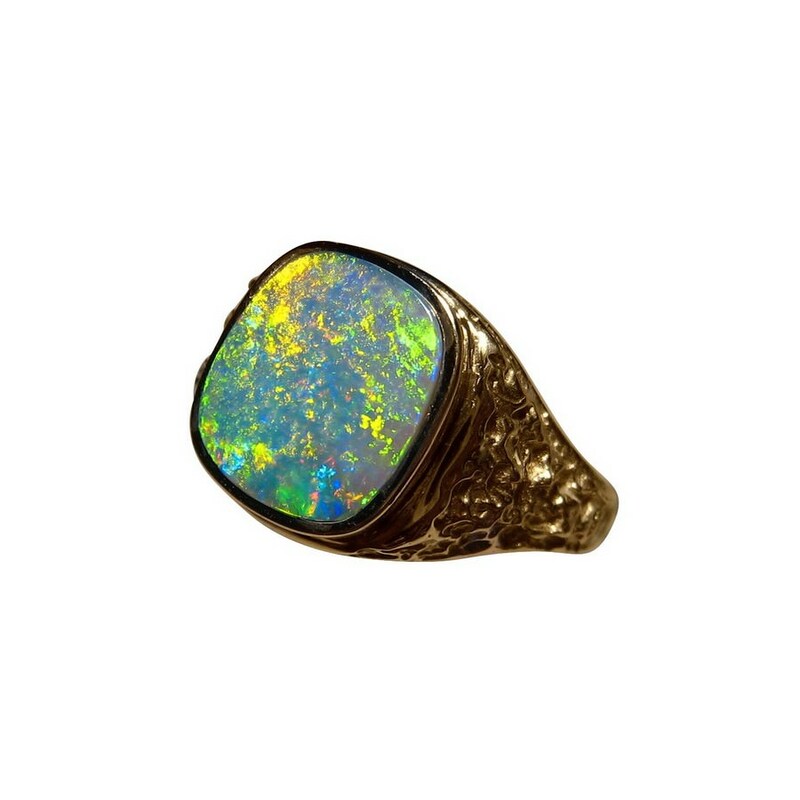 A quality Opal ring for men with a wide textured band of 14k Gold inlaid with one square cut Lightning Ridge Semi Black Opal. 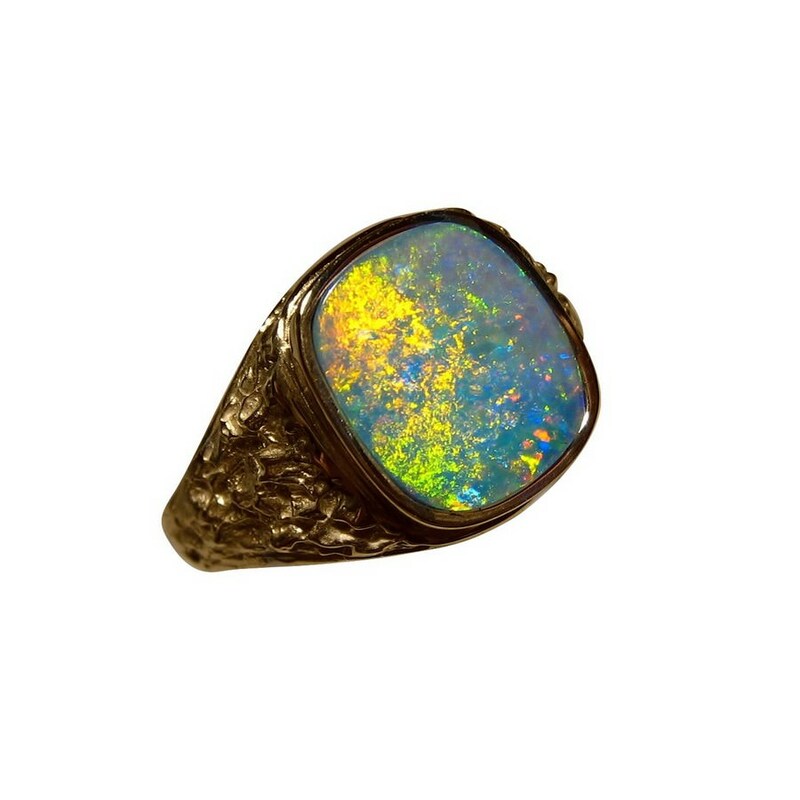 It is a 100% natural semi Black Opal weighing about 2.25 carats and is expertly cut to a rounded square to be inlaid in the ring. The Opal flashes a unique and uncommon mix of Orange and Yellow which stands out against the Yellow Gold. The Opal is not yet set so if you prefer White or Rose Gold, the ring can be made in your preference before the stone is secured. The colors in the Opal shimmer and Roll and the video below will show this better than the images. 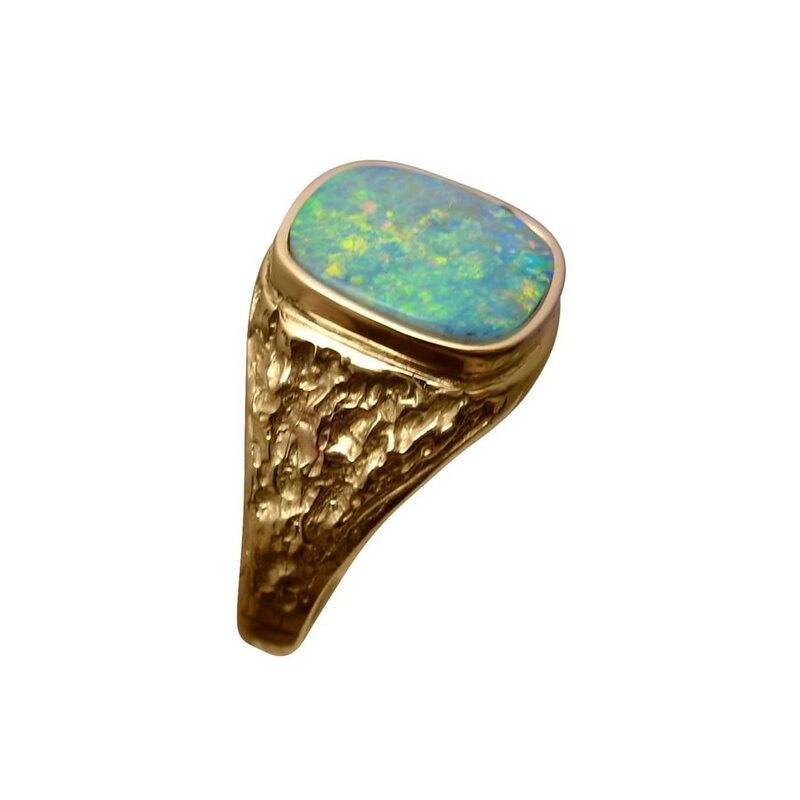 This is a sophisticated Mens Opal ring that is ready to ship in 14k Yellow Gold in a size 10.5 or will take about one week to make the ring in any other ring size or choice of Gold color. 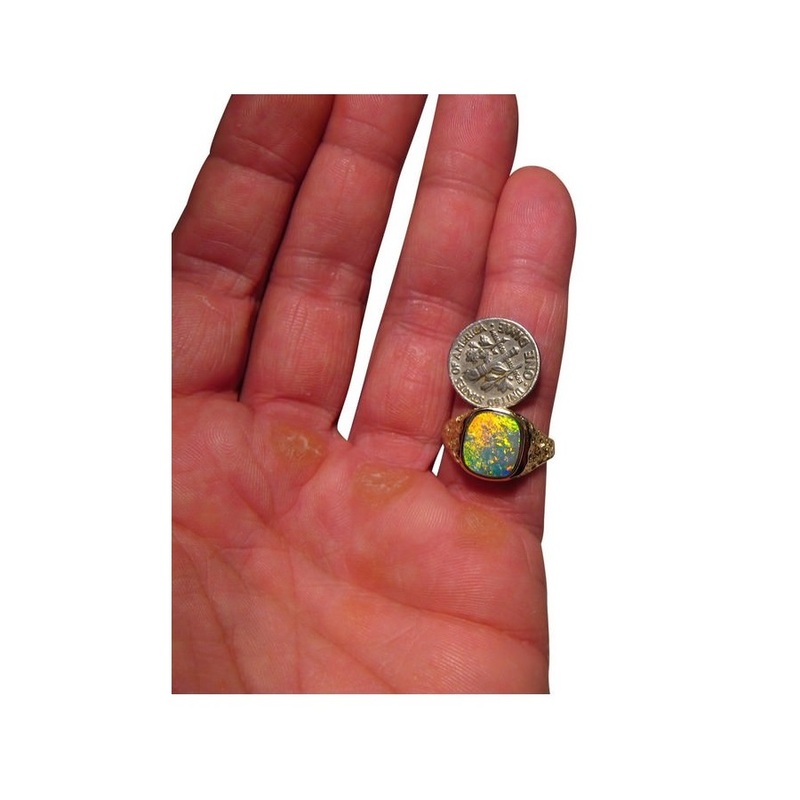 See ring settings the same as this with different Opals available for sale below, or if you would like any aspect of the ring design changed, such as a band similar to SKU 5514, contact through the Ask a Question link on this product page for assistance.